Going on holiday is one of those activities which add to the spice of life. Everything is a little bit different: other people, another area, another rhythm of life…. The South of France is the ideal destination for a change: the sun, the Mediterranean only a stone’s throw away, different colors and scents, whether in the hills or at the market. Like anyone else, every wheelchair-bound person wants to go away on holiday and on the French Riviera Service d’Aide Côte d’ Azur offers you this possibility: a stay in a fully adapted mobile home with extra facilities such as transport or daily care, all this in a large holiday village nearby the sea in the Gulf of St. Tropez. 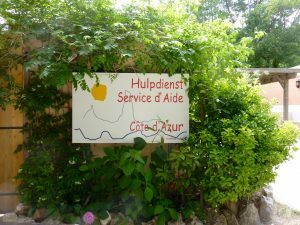 This site allows you to discover what “Service d’Aide” can offer you for super holidays in the South of France. Happy reading and, especially, happy Holidays!